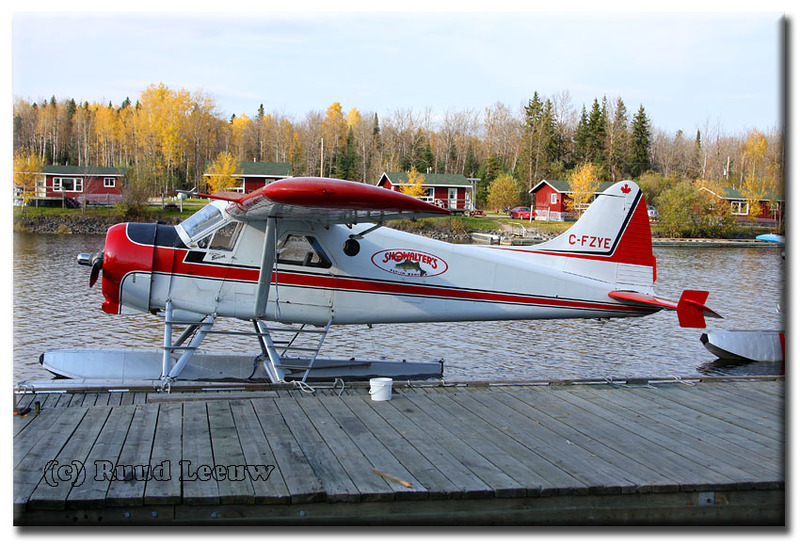 This time my travels took me to Northwest Ontario. 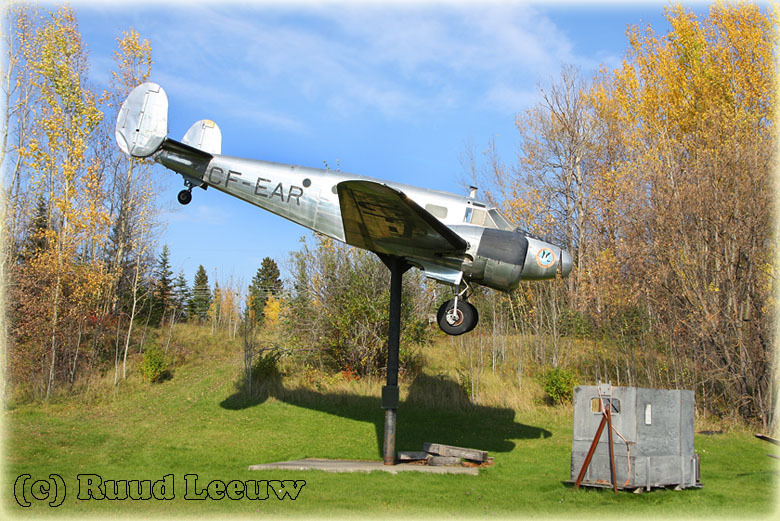 We had started out of Kenora that beautiful, sunny day, driving east on the Trans Canada Highway; after a stop at Vermilion Bay, we took the exit north, up on Route 105: destination Ear Falls. 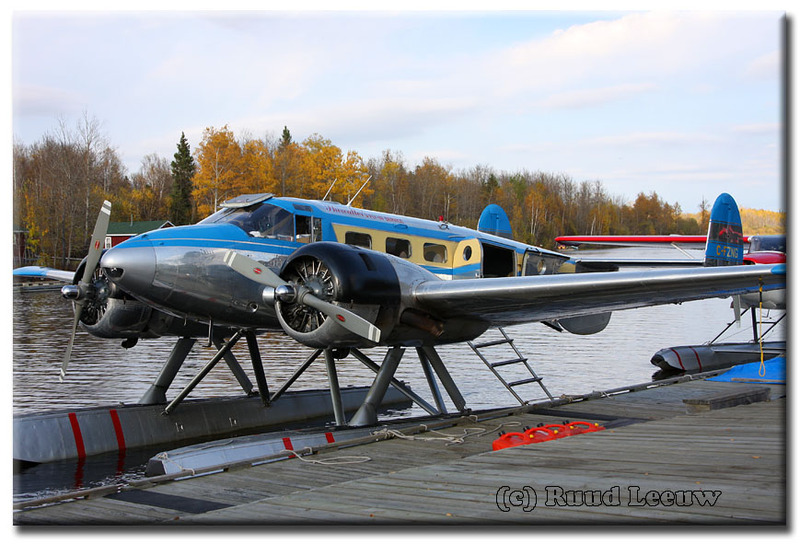 It was quite a long drive, mainly because of roadworks and speedlimits, but at the end of the afternoon we got there and there was plenty to see & enjoy as we found aircraft in 3 locations. Don't exactly recall how we ended up here, probably by a sign on the road. It was south of town. 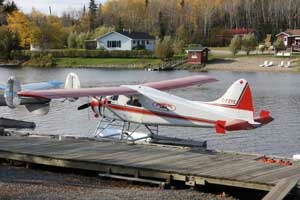 Anyway, there was nobody around and only 2 aircraft on the dock. End of the season, late on a saturday afternoon..? Since there was no one to talk to, so I took my photos and left. 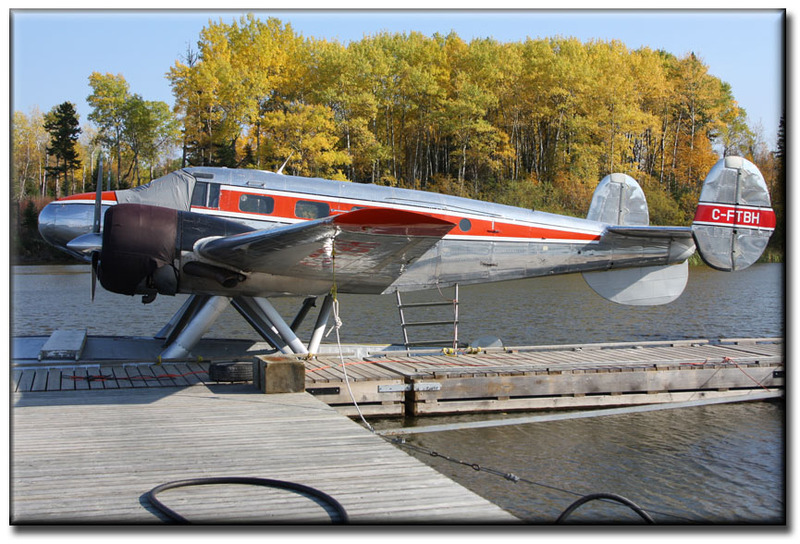 C-FTBH is a Beech 3T or D18S (c/n CA-6226), a plane of considerable size to have on floats. 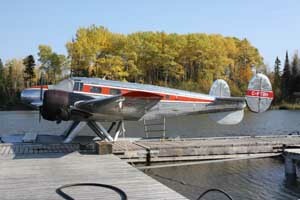 The Beech 18 is by some referred to as a mini DC-3. C-FTBH was registered to KayAir Service on 01Jun95. 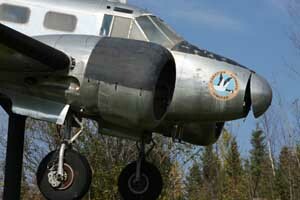 It served the US military, wearing serial 43-35671. 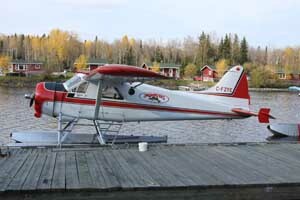 The other aircraft on the dock was Cessna 180A C-FKLJ (serial 50261) and was registered to KayAir 19Dec92. 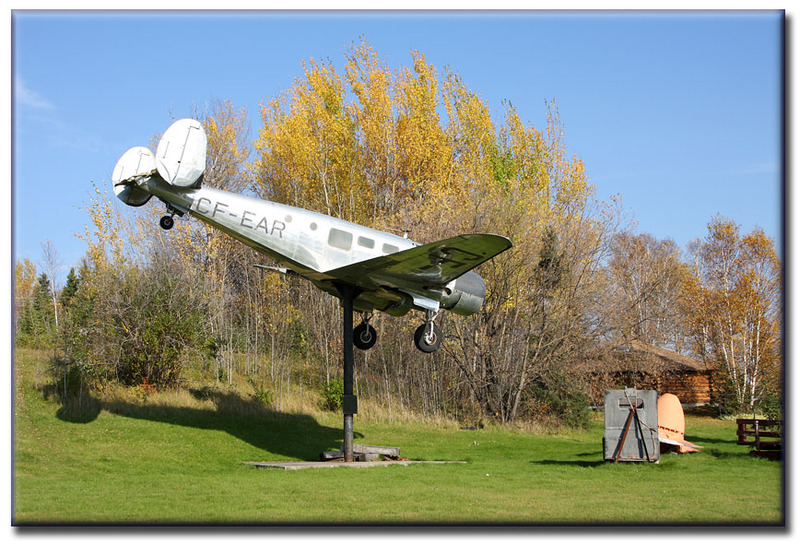 More or less in town is this Beech 18 'CF-EAR' on display. It is or was part of a museum (which seems to be closed permanently..?). The registration is fake, just a reference to Ear Falls. 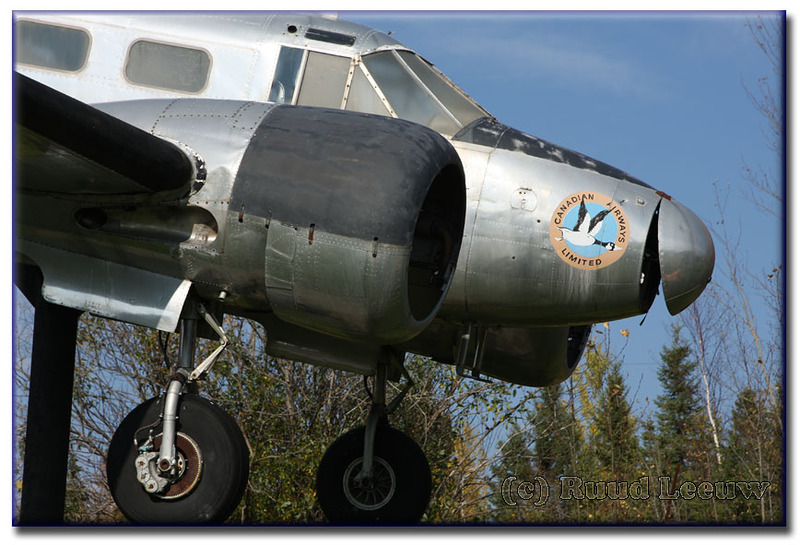 It is in fact former CF-ZQG, a Beech Expeditor 3TM, c/n CA-125 (a.k.a. 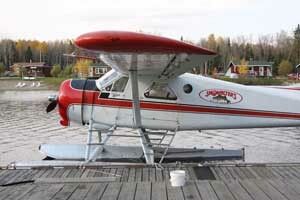 A-725). 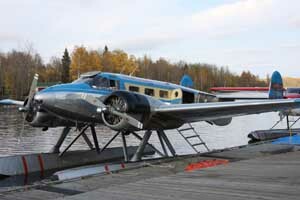 It also served with the Canadian Armed Forces as 1525 and later as 5184. 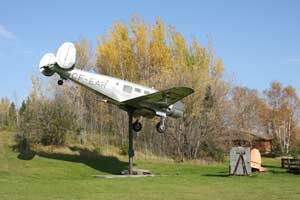 It 'flies' at its present location since about the mid-1980's. 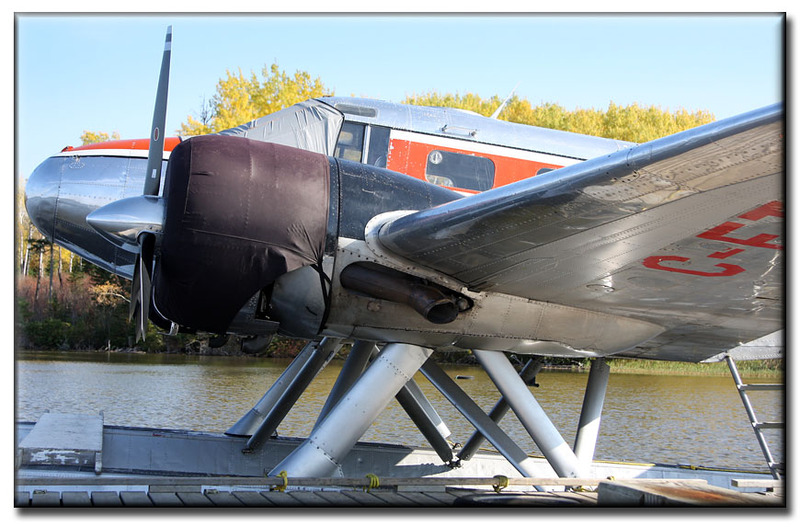 One can find a discussion about the identity of this aircraft elsewhere on my website, CLICK HERE.. Ear Falls was not the final destination today, so we continued north (more or less heading for the end of the road) to Red Lake. 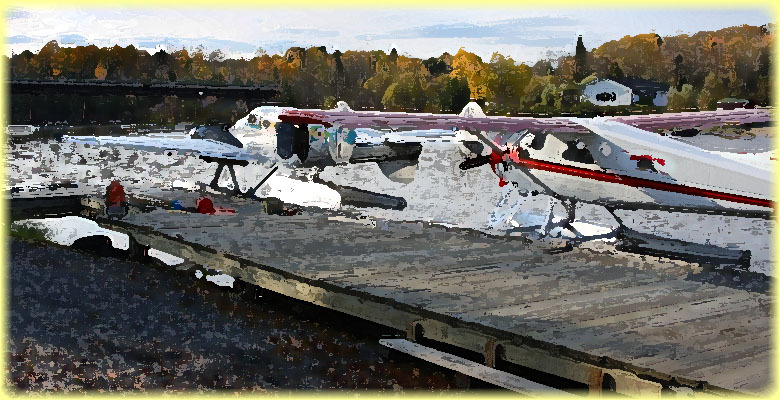 But a distance north of Ear Falls: more bushplanes! We had arrived at Showalter's. 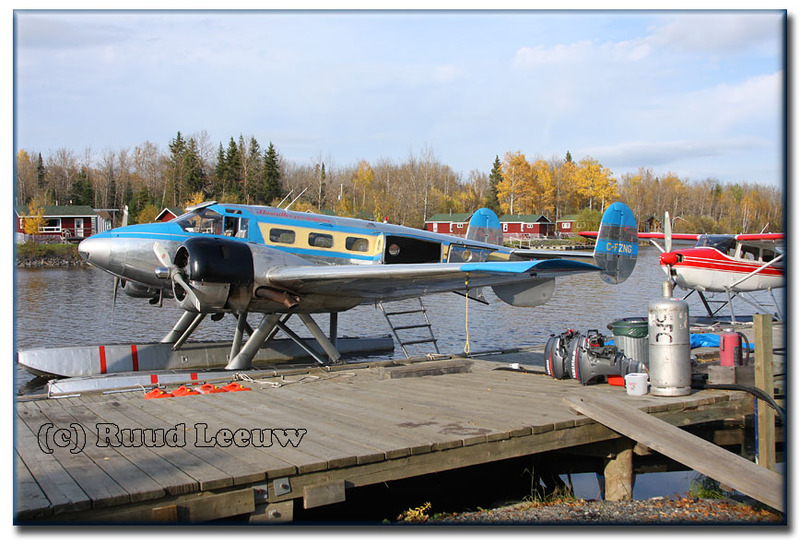 On the dock were 2 Twin Beeches and a De Havilland Beaver. Beech 3NM C-FZNG (c/n CA-182) was registered to Showalter's Fly-In Service (1987) Ltd on 08Jul88. 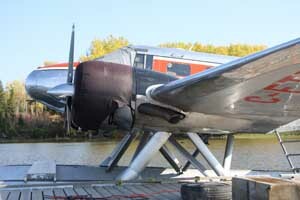 it is former RCAF 2309. This is c/n 192 which was delivered on 21Oct52 to the Fuerza Aérea de Chile, serialled 905. 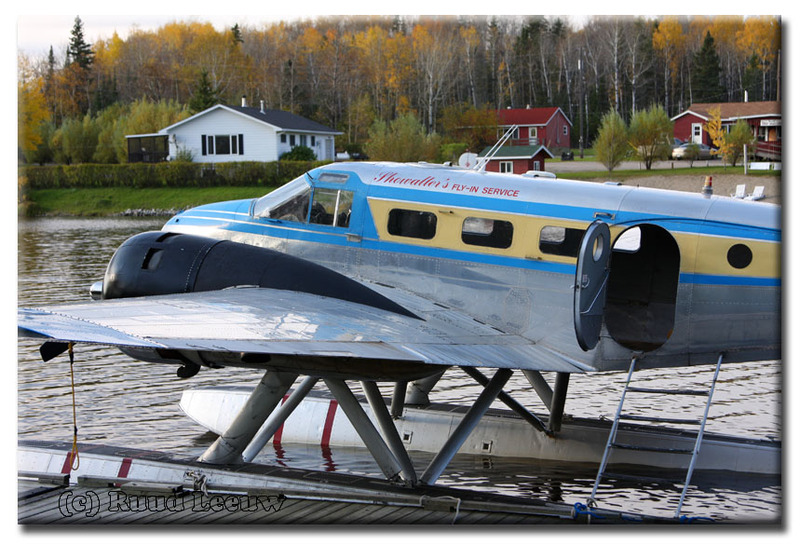 It became N11252 for Ferrer Aviation Inc. of Miami,FL in August 1969. 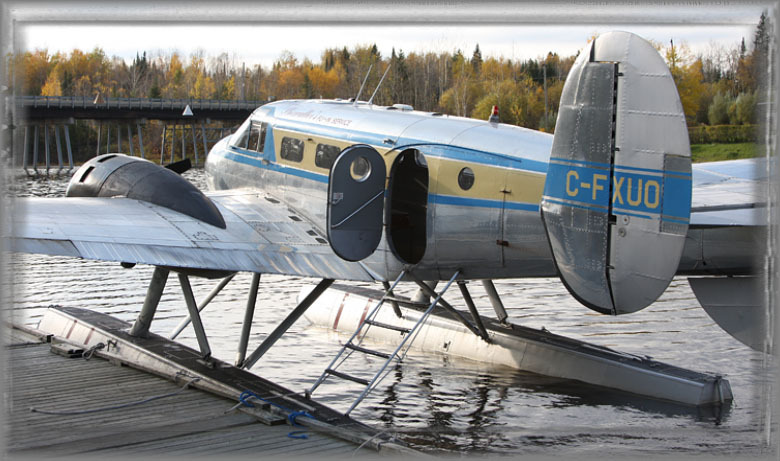 It crossed the border into Canada and became CF-ZYF during May 1971 for Aire-Dale Ltd. of Sault Ste Marie, ONT. 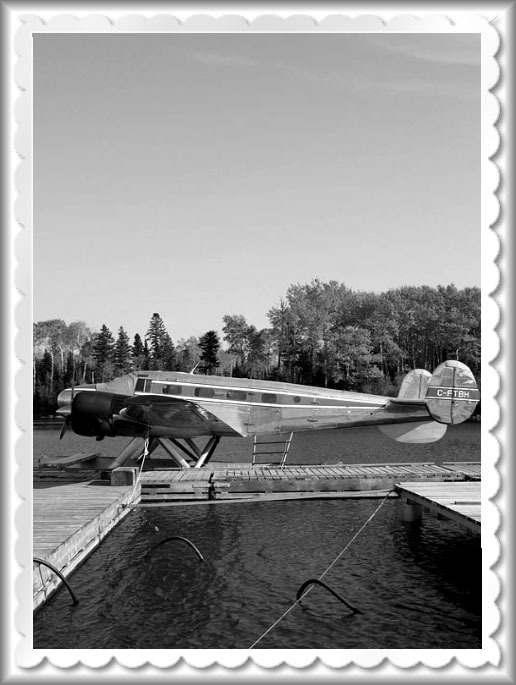 Later it was reregistered C-FZYE for Chapleau Air Services Ltd. of Chapleau, ONT. 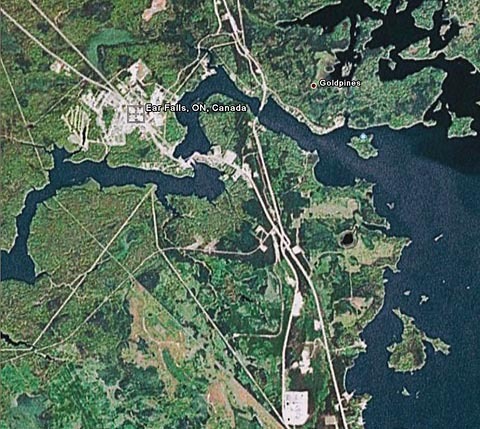 Fate struck a blow when it crashed on 24Jul92 at Unegam Lake, Ontario: 1 person killed and 3 seriously injured. 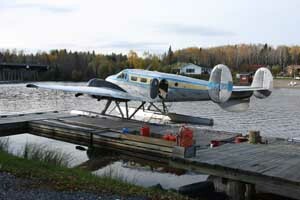 The aircraft was found inverted in water after engine failure, with substantial damage. 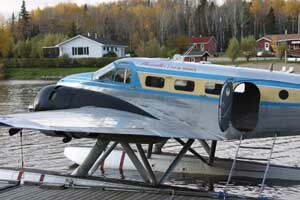 It went to Wilderness Air of Vermilion Bay, ONT, registered on 30Apr96 and reported at Sioux Lookout on 25Aug97 with a ttl 8,191.9 airframe hours. 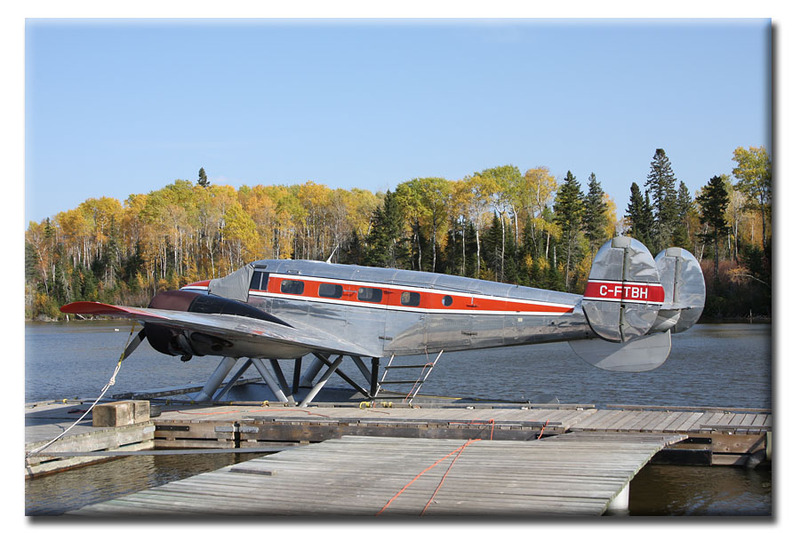 And today we see C-FZYE in splendid condition in Ear Falls, having been registered to Showalter's Fly-in Service (1987) LTD on 13Apr07. 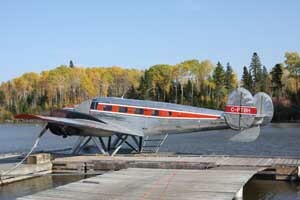 Showalter's operates 2 Twin Beeches, this is C-FXUO, another Beech D18S / 3NM (CA-208). 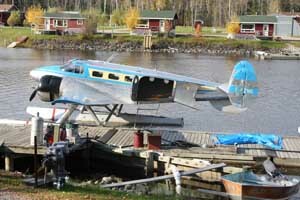 Former RCAF 2329. 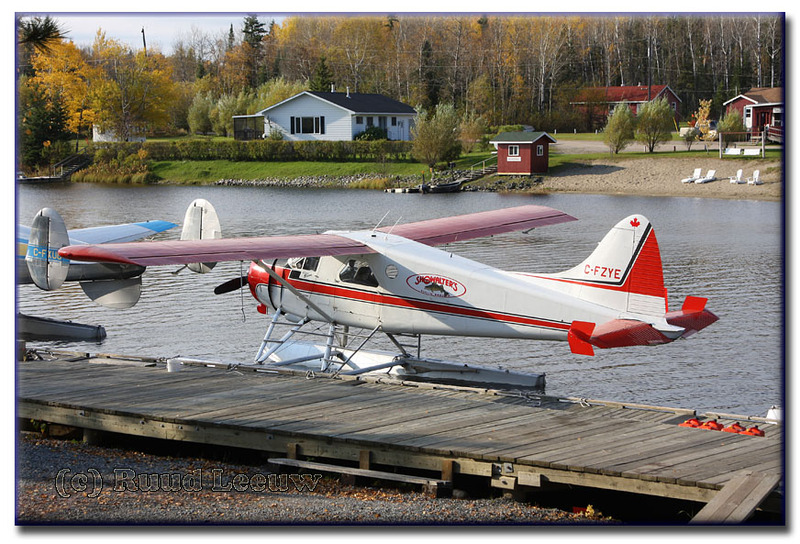 Destinations these aircraft operate to include : Action Lake, Apps Lake, Carrol Lake, Cochrane Lake, Crooked Lake, Hammerhead, Irwin Lake, Pine Needle, Sand Point, Severn Lake and South Rapids. 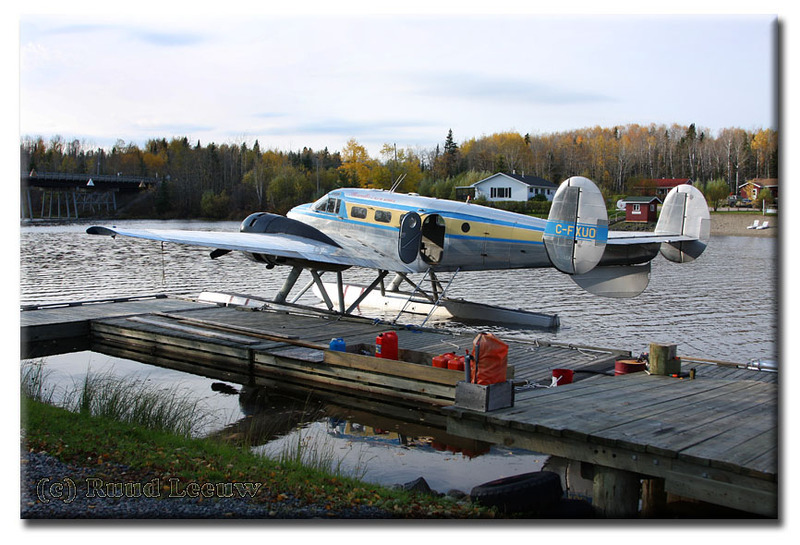 Excellent Adventures and Outposts, flying Beech 3N C-C-FSRE and DHC-2 Beaver C-FLUA. Location of aircraft, same place as KayAir? From Excellent Adventures: Yes, we are in Ear Falls. 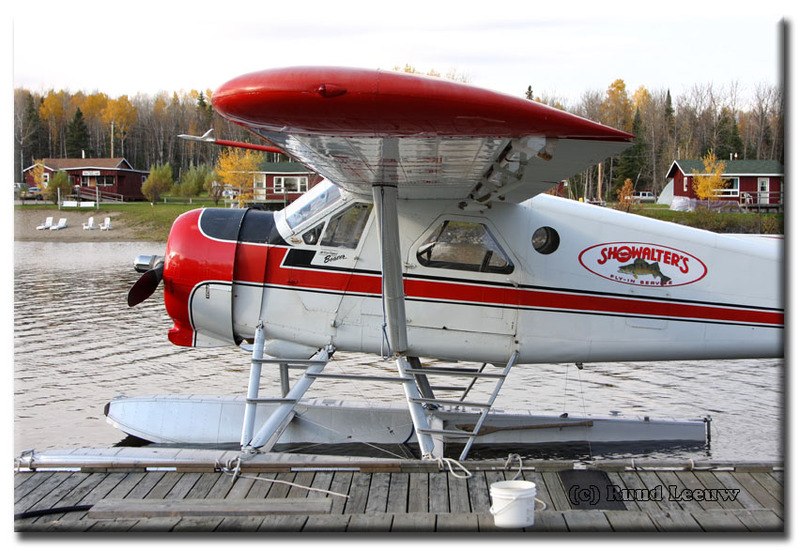 We operate a De Havilland Otter, Cessna 185 and a Aeronca Champ. 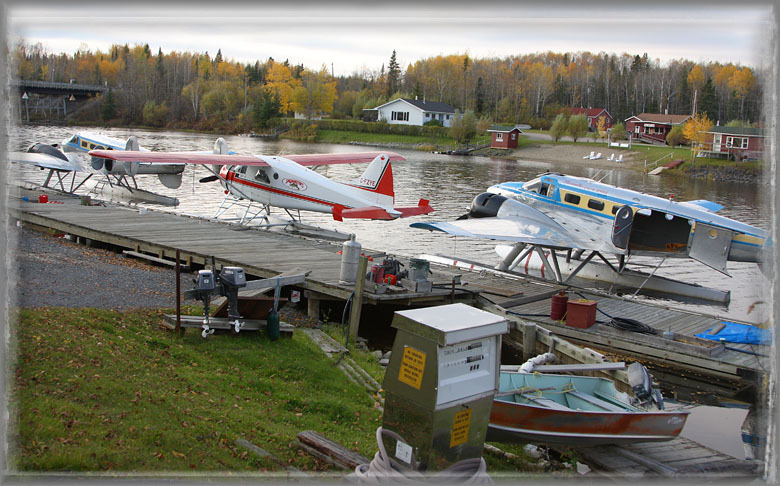 We are located 3 miles south of Ear Falls, 1/2 kilometer towards town from Kay Air. 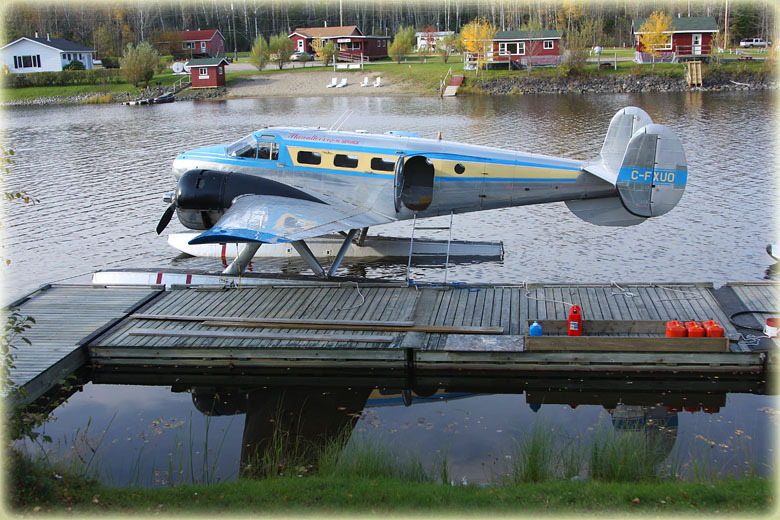 Kabeelo Airways (PO Box in Ear Falls, based at Confederation Lake) with Beavers C-GDYT and C-GLSA; directions on the KaBeelo Lodge website: www.kabeelo.com. 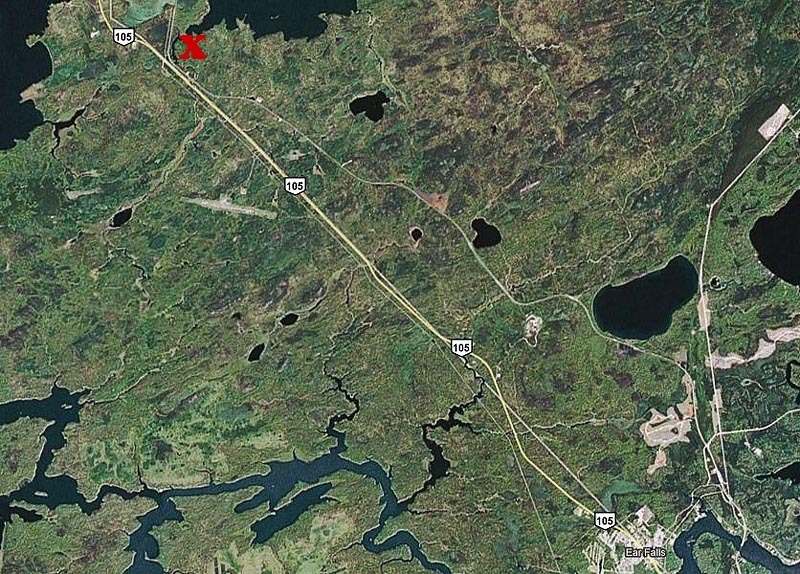 'Google maps' indicated Confederation Lake roughly some 80 kms east of Red Lake. 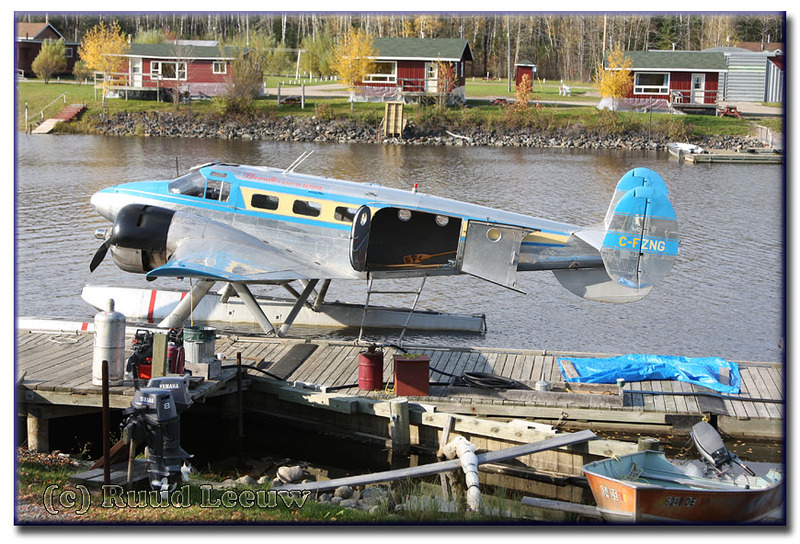 Michael Bes wrote about KaBeeLo lodge: the link on your webpage says "north on Highway 105 to Ear Falls; turn right on Highway 657 in Ear Falls and follow the signs and power lines to KaBeeLo Lodge." But my map says that Hwy 657 is only a short stretch from Ear Falls, so this probably is the road we followed (I can't remember exactly, to be quite honest). 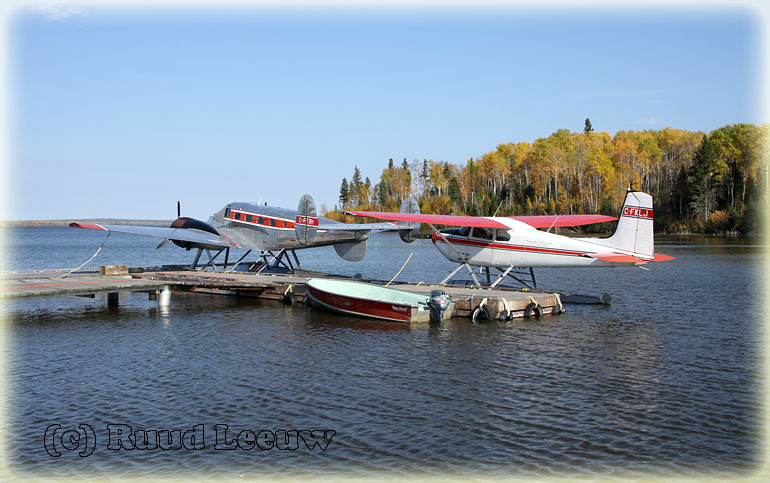 I did find both of their aircraft, DHC-2 C-GLSA & C-GDYT, in winterstorage at Sioux Lookout a few days later.